The Great Yorkshire Show is an iconic three-day event and one of the biggest agricultural events in the English calendar. Every year, more than 130,000 visitors and over 8,500 animals converge on the Great Yorkshire Showground in Harrogate to compete, socialise and celebrate. The Great Yorkshire Show is a celebration of food, countryside and agriculture with something for everyone of every age while keeping farming at its heart. General Exhibitor Information: General Information Please click box to go to the general information regarding the Rural Crafts Association and how they operate. Booking Form & Rules & Regulations: Booking Form To download the Booking Form and Rules and Regulations please click the box. Please print off, fill in and return to us by post or scan. Please make sure you tick the box on the booking form regarding GDPR and Rules and Regulations, please also sign the form. 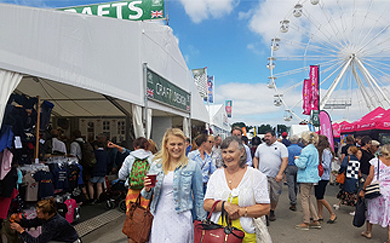 The Great Yorkshire Show is one of the largest agricultural events in the English Calendar with over 8500 animals and 134,000 visitors attending this three day celebration of agricultural, countryside and equestrian excellence. The RCA has two craft pavilions and a specialist food pavilion at this premier summer event, the link with sales at our Crafts for Christmas in November cannot be over-stated with many orders taken for Christmas collection. Both craft pavilions are floored and carpeted to enhance our visitors, and your enjoyment and make the RCA pavilions stand out whilst presenting your work to its very best. The specialist food pavilion has a piazza area with tables and chairs; a catering fee/percentage is paid to the show by you on sales for those catering. All pavilions have excellent main avenue sites ensuring good sales. 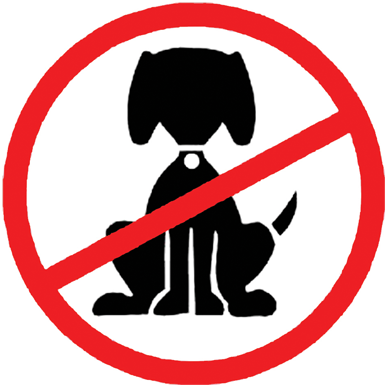 Dogs are not allowed on-site.